Want to join me in making a difference? I'm raising money for Adult Learning Programs of Alaska Inc, and any donation will help make impact. Thanks in advance for your contribution to this cause that means so much to me. 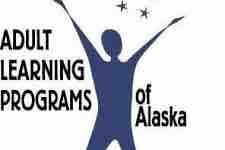 More information about Adult Learning Programs of Alaska Inc: Provide Goal-Oriented, Lifelong Learning Experiences To The Residents Of Interior Alaska By Offering Individualized Services For Personal, Education, And Career Growth.